One of the primary goals of social media optimization (SMO) is creating greater visibility for your brand through your social media platforms. There are few better tools for doing this than hashtags, which are the focus of today’s fourth part of our SMO series. At this point, hashtags have become an inescapable part of our popular culture. They appear on television commercials, in print advertisements and in our own personal social media posts. On social media, the hashtag has become the most popular and effective means of categorizing content, which makes it that much easier for you to get your content discovered—if you know what you’re doing. Here are a few best practices to help your business achieve greater social media success with the use of hashtags. With the hundreds of millions of people using each of the most popular social media networks, you need to cut through the noise and get specific with your hashtags in a way that will allow you to reach out to your target audience. The more specific your hashtag, the more targeted that audience is, which means you’re more likely to get better engagement out of your posts. If you do not already have a specific hashtag for your brand, you should come up with one or two that fit your brand image or the particular marketing campaign you have implemented. 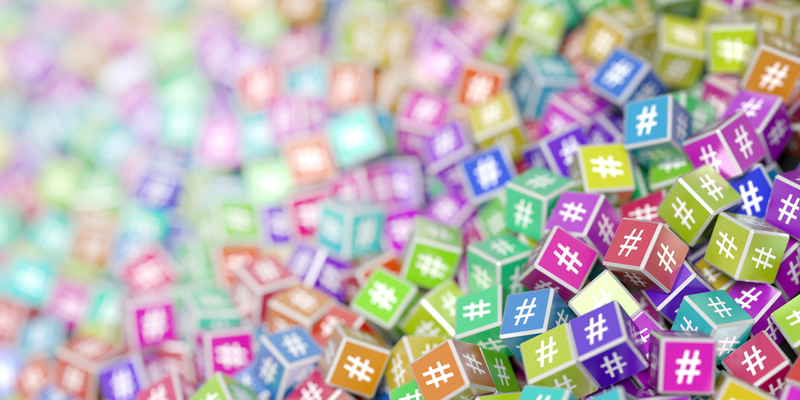 Hashtags have the same fundamental purpose across all the major social media networks, but the way people use hashtags on each of those networks can vary quite a bit. On Instagram, for example, hashtags are more commonly used as a means of describing the content posted. On Twitter, however, the hashtags are used to categorize topics of conversation. Therefore, before you begin developing unique hashtags for your business, make sure you have at least some familiarity with each social network you’re using and how people use hashtags on those networks. It’s not as easy as coming up with one branded hashtag and tacking it on to the end of everything you post. Just as how you shouldn’t strictly post social content that pushes your own brand, you shouldn’t exclusively use your own branded hashtags. If you notice trending hashtags that are at least somewhat relevant to your audience, feel free to post using those hashtags. Any branded hashtag you develop should be short and simple. This is especially important on Twitter, where there is a character limit for each post, but it is important across all networks. You want your hashtags to be easy to remember so people will use them in their own posts. Additionally, hashtags that get too long or clever make it less likely that someone will search for your specific hashtag. This defeats the purpose of the hashtag, which exists to make it easier to find content, not harder. This is a particularly problematic trend on Instagram as of late, with many people loading their posts up with as many hashtags as they can fit in a single post (up to 30). DISCLOSURE: At times we like to have fun with our hashtags and not just use them for technical purposes. However, using too many hashtags in a post looks spammy and unprofessional. Even if it succeeds in bringing in more followers, they themselves will likely be spammers or people who are only interested in you following them back. In general, using one, maybe two hashtags in a tweet is enough, while there is room for maybe a couple more in an Instagram post. But you don’t want to come anywhere near having as many hashtags as regular words in a post—that just looks bad. Additionally, you should know what is and is not worthy of a hashtag. Not every tweet, comment or post is substantial enough to add a hashtag to put it out into the larger digital conversation. Hashtags are an essential SMO tool that, when used correctly, can help you achieve significantly more attention for your brand. Spend some time developing a hashtag strategy you can use for your company to beef up your social media game.